I can still remember reading the opening passages of Robert Ludlum’s Bourne Identity over thirty years ago, and years later I still think of it as one of my favorite thriller novels. The trilogy franchise starring Matt Damon, which concluded nine years ago, did a reasonable job of taking us into this complex character’s espionage world. Here we are excitedly awaiting the next instalment and sadly it’s a big disappointment. They would have done better to reboot the original. Mind you, they tried that with The Bourne Legacy and Jeremy Renner off on a tangent and that didn’t go so well. That’s not to say this is a totally unenjoyable film, it’s kinda entertaining, but feels very long at just on two hours, which means it failed as an action-packed film (which is all it is). You shouldn’t even notice the length of a film if it’s all happening right on screen. While nobody will complain about the action, because it’s there in nearly every scene, bigger and better than probably previous Bourne films. The action is, also, its downfall. The plot is whisper-thin and if you removed the action, there wouldn’t be enough there for an ad break in an episode of 24. Director Paul Greengrass who also helmed two of the previous Bourne films seems to have a fascination with walking chases. Most of the chases, excluding a good Fast and Furious car chase at the end and a lengthy bike chase in the beginning are walking fast through crowds. One is exciting for a film. Repeating is not good. The hugely talented Alicia Vikander and Matt Damon are wasted with their monotone deliveries and characterization. Yes, it’s serious film, but when everybody is serious, there is no respite. Just like when it is all chase scenes and horrible, jumpy, hand held shots of said scenes our mind starts to wander. Directors, please stop with these jump cut, hand-held styles. Nobody enjoys them and many people are made ill by them. Half the time, you can’t see what is going on and who is hitting who or crashing into who. After nine years, the plot feels cobbled together and merely a grab at gaining some income from an older franchise after Mission Impossible has proved so enduring and Jack Reacher is now onto his second outing. The difference between this and those films is the plot and the characters and some good pacing. A film doesn’t need full throttle the whole way, like a book it’s needs some changing of pace. 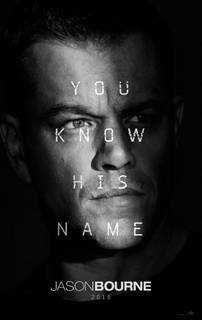 You will enjoy this film, but like Bourne’s past, your memory will allow it to fade. Years after the events of The Bourne Ultimatum, former CIA assassin Jason Bourne (Matt Damon) resurfaces just as his former employers are implementing a new program aimed at hunting him down. Now fully recovered from his amnesia, Bourne teams up with Nicky Parsons (Julia Stiles) to uncover the ultimate truth about his past and his family while simultaneously exacting revenge and eluding capture by the government forces hot on his trail. Paul Greengrass returns to helm this sequel, with Tommy Lee Jones, Alicia Vikander, and Vincent Cassel co-starring. 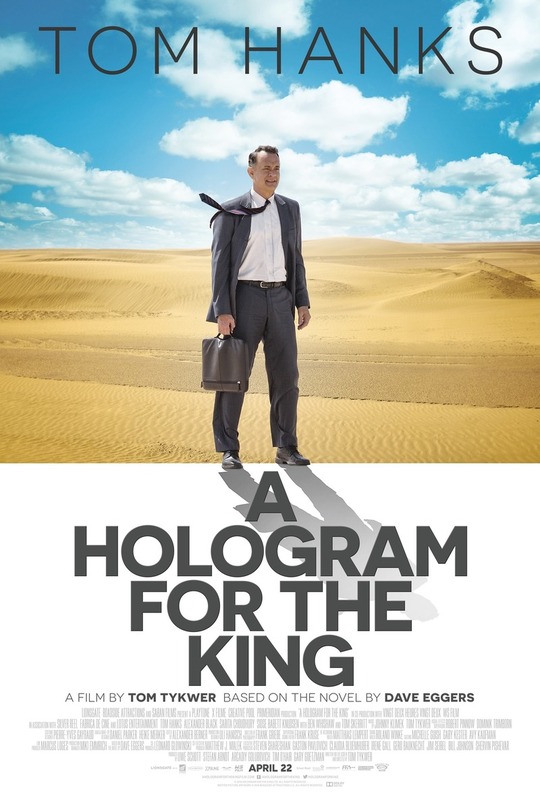 Cultures collide when an American businessman (Tom Hanks) is sent to Saudi Arabia to close what he hopes will be the deal of a lifetime. Baffled by local customs and stymied by an opaque bureaucracy, he eventually finds his footing with the help of a wise-cracking taxi driver (Alexander Black) and a beautiful Saudi doctor (Sarita Choudhury). Now a much anticipated fixture on the festival calendar, the third Volvo Scandinavian Film Festival, presented by Palace, Luna Palace Cinemas and The West Australian will see some of the most exciting and fresh movies from Sweden, Denmark, Norway, Finland and Iceland grace screens at Cinema Paradiso in Northbridge from 21 July – 3 August. 11 CLASSICS FROM THE MASTER OF SUSPENSE - ALL LOOKING BETTER THAN EVER ON THE BIG SCREEN IN STUNNING DIGITAL! If you can’t wait until the opening day, catch Absolutely Fabulous at the Advance Screening at Readings for only $10. Guests are encouraged to dress up as Readings are running a ‘best dressed’ competition on the night, as well as giving out a number of other prizes. Guests will also receive a free non-alcoholic frozen martini and fairy floss. A photographer will also be roaming around. Arrive at least half an hour early for this screening to enjoy the fun! What a great girl’s night out! Sweetie darling! Join us in celebrating the return of everyone's favourite fashion duo Edi and Patsy for the opening night of Absolutely Fabulous: The Movie at Cinema Paradiso on August 4. Enjoy prosecco tastings from Brown Brothers, immersive fun and prize giveaways for the best dressed, plus every ticket gets a free entry to Connections Nightclub and glass of bubbly on arrival. Fleeing penniless to the glamorous playground of the super-rich, the French Riviera, they hatch a plan to make their escape permanent and live the high life forever more. The Royal Opera’s heart-breaking Werther will be screened direct from London in cinemas across Australia. Conducted by Antonio Pappano, and starring two of opera’s most in-demand talents Vittorio Grigòlo’ and Joyce DiDonato, Massenet’s tragedy is full of supressed desire and family duty. The tormented poet Werther is in love with the married Charlotte. Unable to forget his love, Werther travels the world but their romance continues through a series of passionate letters. On his unexpected return Charlotte once again rejects Werther and he shoots himself, dying in her arms. Known for his illustrious career in French cinema, Benoit Jacquot’s production is sumptuously staged in the 18th Century. Lavish costumes and grand houses by set designer Charles Edwards represent the stifling society the couple live within whilst passion rages beneath. Werther from London’s Covent Garden screens as part of the 2016 Palace Opera & Ballet Cinema Season, which also features opera and ballet performances from Paris’ Bastille Opéra and historic Palais Garnier, and for the first time this year, Milan’s famous La Scala. (Sung in Italian with English subtitles) Duration approx. 3h incl. 2 interval. What's on at the movies 21st July 2016? This film needs to be shown in every school. On a given evening, every station including Foxtel, Netflix, etc., should suspend their programming and play this film. The world would be changed. There is so much truth in this film about life, ourselves, where we are going so terribly wrong. Bizarrely, it’s almost the tale of The Emperor’s New Clothes. We’ve just accepted it as normal that it’s not good to not be beautiful in the eyes of some fictitious image created purely to sell things. You know it already, but during the film you begin to feel as though you really know we've been hoodwinked. The first five minutes of the film simply broke my heart. To hear women talk about their disgust for their bodies and the impact these feelings have on their lives brought me to tears. Embrace introduces us to so many inspiring, wonderful people, a poor woman suffering from anorexia; a photographer who captures the beauty in mothers' bodies; Rikki Lake speaking openly and honestly about her struggles with her image; Mia Freedman, the youngest editor of Australian Cosmopolitan and her desire to move away from the skinny model; and so many other brave, beautiful women. It’s just incredible and beyond inspiring. This body image issue needs the same thought process. We need to rise up, especially parents, and demand our children are no longer exposed to this insanity. How you look is how you look. If you are healthy and happy, then it doesn’t matter what shape, what color, what size you are. None of it matters. We need to fill our children’s minds with what they can contribute to the world, their friends, their families, not what impact their appearance has on others. Although, I don’t feel I’ve ever had a huge problem with body image, I have my moments. I stress over a pimple, how my hair looks, the wrinkles I see, my tummy since I’ve had kids. I jokingly say I won't ever be wearing a bikini again, and I'm a size twelve! I saw Taryn Brumfitt’s picture a few years ago and reposted it on Facebook then because I was impressed by her words. Ever since, I’ve tried not to worry too much about how soft my body is now I’m in my fifties and have had two children. I have a reasonable control of my mind, but still I have to fight off those negative thoughts sometimes about how I look. This film is a reaffirmation now that I need to work harder. Especially around my children. No more commenting on the way anyone looks. I’ve been known to jokingly comment on clothes or shapes or age. Done. Gone. People are people. I embrace every one of you. It’s about who you are. And who you are is inside your skin. The outside is just packaging you can play with for the fun of it. Like clothes, your exterior is protection and simply something to carry around your soul, heart, and mind. Inside is the value of a human being. I’ve seen some incredible documentaries in the past year, That Sugar Film, the recent Chasing Asylum, but this one is by far the most important for the world. Such a little thing: Love yourself as you are could transform everything. Please embrace this film. Don’t spend your cinema dollars on these silly American crass comedies or the latest blockbusters until you’ve seen Embrace. Your entry fee might just change yours, your friends', and your family’s lives. Taryn Brumfitt is a writer, speaker and founder of the Body Image Movement. Her debut film,Embrace, is the most successfully crowdfunded documentary in Australia to date, and the good news is Taryn is coming to Luna Cinemas Leederville on Tuesday 26 July where she will present and talk about her amazing empowering film following the 6.30pm session. The evening will hosted by one of Australia's sought after speakers Paralympian Jessica Smith ( Young Australian of the Year and Pride of Australian WA Medal winner). Her best-selling book EMBRACE “My story from body loather to body lover” will be on sale courtesy of Northside Books at the screening. Taryn will also be available for a book-signing following the Q&A session. At home in Adelaide, Australia, Taryn Brumfitt is a wife and mother of three. But internationally, she is a highly recognised body image activist whose powerful message has reached over 100 million people worldwide via traditional and social media. When body image activist Taryn Brumfitt posted an unconventional before-and-after photograph in 2013, it was seen by more than 100 million worldwide and sparked an international media frenzy. In her forceful debut, Brumfitt continues her crusade exploring the global issue of body loathing. 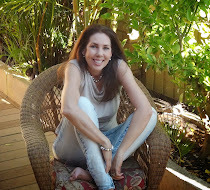 She travels the world to interview an impressive range of women about their attitudes to their bodies, including: Mia Freedman, the youngest ever editor of the Australian edition of Cosmopolitan; Emmy Award-winning television presenter Ricki Lake; Adelaide researcher Professor Marika Tiggemann; UK talk show host/photographer Amanda de Cadenet; body image blogger Jes Baker (a.k.a. The Militant Baker); and motivational speaker Turia Pitt. Embrace was backed and supported by people all across the globe including celebrities such as Rosie O’Donnell, Ashton Kutcher, Perez Hilton, Ricki Lake and Zooey Deschanel. It’s clear that Embrace is a documentary of worldwide importance. The man behind 'Laverne & Shirley,' 'The Odd Couple' and 'Mork & Mindy' died Tuesday. 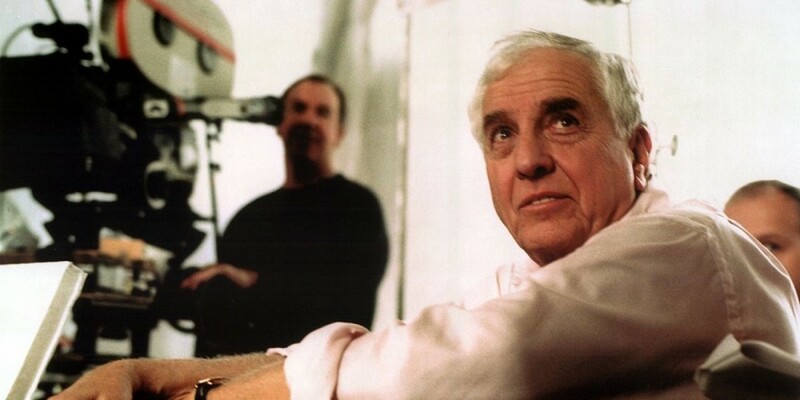 Garry Marshall, who created and executive produced some of the most popular sitcoms on TV died Tuesday at 81. The creator or producer behind Happy Days, Laverne & Shirley, The Odd Couple and Mork & Mindy, as well as director of the box-office smash Pretty Woman, his most recent film was the April release Mother's Day. I am a trekkie from way back, so I’m never missing a Star Trek film. The first reboot back in 2009 was a good one, then 2013 Star Trek Into Darkness was a letdown. Now Paramount and J.J. Abrams have handed the reigns over to Justin Lin (Fast & Furious) to direct and Simon Pegg to co-write the script. Good move. 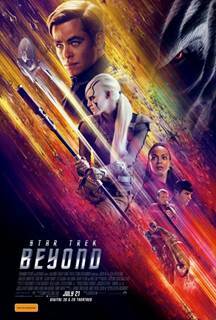 While the film doesn’t boldly go where no film has gone before, it’s still a great sci-fi blockbuster and entertaining as heck. The makeup is quite extraordinary and the imagination in creating all these different life forms is truly impressive. In this Star Trek we find Captain Kirk pondering the boredom of deep space exploration and Spock receiving some bad news we already know: Ambassador Spock has died. The Enterprise ends up crashing on a distant planet after a battle with an unknown enemy. The crew are separated and we meet a particularly nasty bad guy by the name of Krall. Hang on to your ancient artefacts Trek fans, this film will impress and entertain with its scale and action sequences. Of course, we all know they do go up there and film in space, so that’s why everything looks so real. All our favorite characters are back and Chris Pine finally feels as though he is a right fit for Kirk. He seemed too wild in the first two. His character arc, in fact, all the characters’ arcs are now becoming as interesting as the action. It is a little light on plot, but strangely you don’t notice. It’s just too well done to complain. Jeff Bezos on right. He actually owns planet Earth for real. Seems everyone is a Trek fan. Rihanna sings Sledgehammer from the soundtrack and Jeff Bezos (Amazon’s founder) has a cameo. Last week, actor Chris Pine shared: "I was there for the bit with his, like, nine bodyguards and three limos. It was really intense. I had no idea who he was. Not a clue. But he was obviously very important." Sci-fi fans, Trek fans, and anyone who loves a blockbuster will enjoy. Captain Kirk and the crew of the Enterprise encounter an alien warrior race when marooned on a distant planet after the destruction of their spaceship in this thrilling sequel directed by Fast & Furious director Justin Lin. Chris Hemsworth, who appeared in 2009’s “STAR TREK,” will return to the space saga as George Kirk to star alongside Pine. The remaining cast is expected to return. Hemsworth is currently starring in “GHOSTBUSTERS” alongside Melissa McCarthy, Kristin Wiig and Kate McKinnon, and filming “THOR: RAGNAROK” and “AVENGERS: INFINITY WAR - Part 1” back to back. Daniel Radcliffe (The Harry Potter Series), Paul Dano (Love & Mercy, There Will Be Blood) and Mary Elizabeth Winstead (Juno, 10 Cloverfield Lane) star in one of the most hilarious and wild stories you will see on screen! Daniel Radcliffe like you've never seen him before (and will probably never see him again)! Everyone from Buzzfeed, to Rolling Stone, to TIME, to Entertainment Weekly have been talking about this film.. and people want to come see it for themselves! 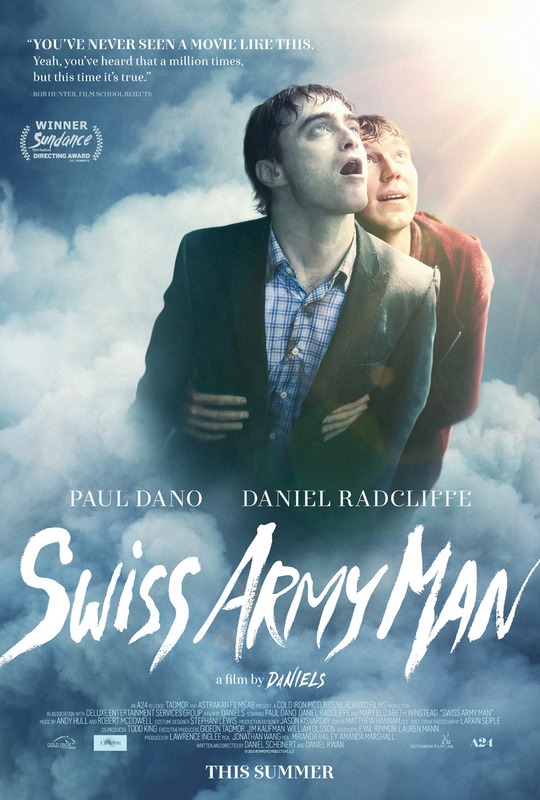 A wholly original, enormously entertaining, and deeply heartfelt look at what it means to be human, Swiss Army Man is the feature film debut of acclaimed music video directors Daniel Scheinert and Daniel Kwan (collectively known as DANIELS, and responsible for the beloved “Turn Down For What” video, among many others). Bursting with limitless creativity in both form and content, Swiss Army Man goes from the absurd to the emotional to the whimsical to the profound and back again. Hank (Paul Dano) is stranded on a deserted island, having given up all hope of ever making it home again. But one day everything changes when a corpse named Manny (Daniel Radcliffe) washes up on shore; the two become fast friends, and ultimately go on an epic adventure that will bring Hank back to the woman of his dreams. An exquisite comedy of matchmaking and heart-break, Academy Award nominated filmmaker Whit Stillman (Metropolitan, The Last Days of Disco) is in top-form directing his own adaptation of Jane Austen’s early novella concerning the sensational Lady Susan Vernon. 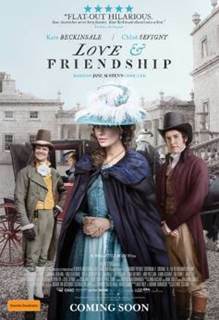 Set in the opulent drawing rooms of 18th-century English society, LOVE & FRIENDSHIP follows the deliciously scheming and manipulative Lady Susan Vernon (Kate Beckinsale). Aided and abetted by her loyal friend Alicia Johnson (Chloe Sevigny), Lady Susan is on a mission to find a husband for herself and her long-suffering daughter Frederica. But two young men, the handsome Reginald DeCourcy (Australia’s Xavier Samuel) and wealthy Sir James Martin (Tom Bennett), severely complicate their plans. Dress in your Sunday best and come join us for a Sunday Soirée screening of Love & Friendship on 24 July at Windsor Cinema. Enjoy a pre-screening glass of wine, delicious finger food* from Martineaus Patisserie and literary prize pack giveaways courtesy of UWA Publishing before catching Academy Award nominated director Whit Stillman's exquisite comedy of matchmaking and heartbreak. Stillman (Metropolitan, The Last Days of Disco) is in top-form directing his own adaptation of Jane Austen’s early novella concerning the sensational Lady Susan Vernon. Set in the opulent drawing rooms of 18th-century English society, LOVE & FRIENDSHIP follows the deliciously scheming and manipulative Lady Susan Vernon (Kate Beckinsale). Aided and abetted by her loyal friend Alicia Johnson (Chloe Sevigny), Lady Susan is on a mission to find a husband for herself and her long-suffering daughter Frederica. But two young men, the handsome Reginald DeCourcy (Australia’s Xavier Samuel) and wealthy Sir James Martin (Tom Bennett), severely complicate their plans. Celebrate the opening of the Volvo Scandinavian Film Festival 2016 from 6pm with Scandinavian-style entertainment, delicious smørrebrød and Cake wines before the 7pm screening of the black comedy WELCOME TO NORWAY! 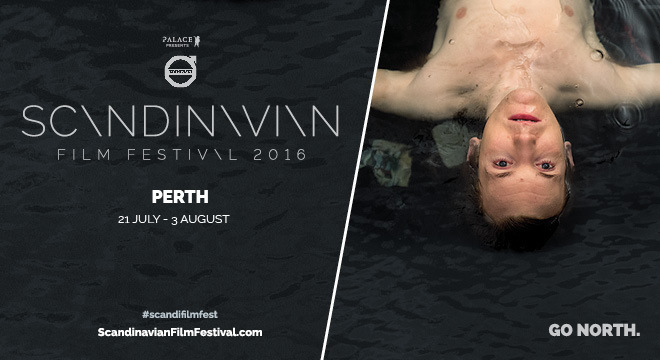 Director Rune Denstad Langlo brings some welcome levity to the highly topical subject of Europe’s migration crisis in this acerbic and insightful black comedy that pokes fun at the behaviour of Norwegians when pushed outside their comfort zones. The star of all three of Denstad Langlo’s previous features, Anders Baasmo Christiansen, plays Petter Primus, a jovial racist and failed entrepreneur who turns his dilapidated mountain hotel into a state-funded refugee asylum centre to remain financially afloat. Not surprisingly, the cultural rub causes more than a little friction, especially his relationship with the overly optimistic arrival Abedi (a standout performance by newcomer Olivier Mukata). Fifty freezing refugees, a nosy Norwegian Directorate of Immigration, a depressed wife and a restless teenage daughter prove far more than Petter Primus can bear! Sharp, witty and unpredictable, WELCOME TO NORWAY! juggles its themes with acute skill; never patronising for the sake of laughs, never too serious for the sake of political correctness. 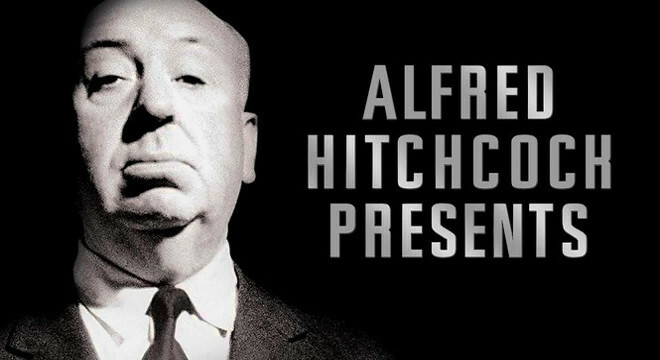 This is a film that will put a smile on your face in ways you may not expect. 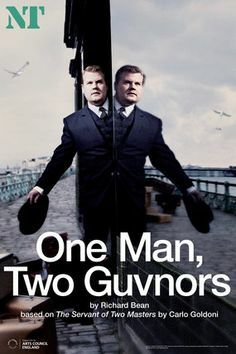 One Man, Two Guvnors was a runaway hit both in London’s West End and on Broadway. Fired from his skiffle band, Francis Henshall becomes minder to Roscoe Crabbe, a small time East End hood, now in Brighton to collect £6,000 from his fiancée’s dad. But Roscoe is really his sister Rachel posing as her own dead brother, who’s been killed by her boyfriend Stanley Stubbers. Holed up at The Cricketers’ Arms, the permanently ravenous Francis spots the chance of an extra meal ticket and takes a second job with one Stanley Stubbers, who is hiding from the police and waiting to be re-united with Rachel. To prevent discovery, Francis must keep his two guvnors apart. Simple. Some of cinemas most celebrated films are set to return to our screens in the 2016 season of ‘In The House’! Join the conversation on the dedicated In The House Facebook page and tell us what YOU want to see back up on the big screen here. What's on in film June 30? Visit now for upcoming launches, free books, new reviews, interviews and more. 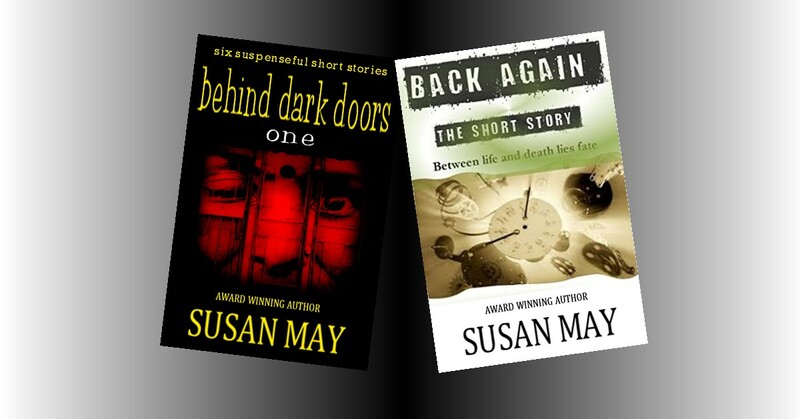 This website created by Susan May. Simple theme. Powered by Blogger.